Unlike the BDS issue, some referendum questions did receive a count and tally after the Concordia Student Union’s by-election last week. Notably, the referenda for creating new student housing, a daycare centre and the approval for the CSU to pay back the Hive Café Solidarity Cooperative start up loan through a specific fund all passed. The referendum question asking for student approval to consider new student co-op housing initiatives as a student space project had the highest success rate, with 1598 “Yes” votes and 182 “No” votes. The Unité de travail pour l’implantation de logement étudiant (UTILE) already presented its work on student housing co-ops to the CSU. A question which would give the CSU a mandate to pursue an on-campus daycare centre also saw a high success rate, with 1551 students voting “Yes” and 236 voting “No.” Wilkings said that the next step in the project is to negotiate with the university for space. Both the daycare and student housing questions received the same amount of abstentions—613—but Wilkings said this was a “coincidence.” When final proposals are drawn up to begin construction on a facility, students will vote on a new ballot for further approval. Approval to loan money from the Student Space, Accessible Education and Legal Contingency Fund (SSAELC) to pay back the Hive Café Co-op’s startup costs also passed with 952 “Yes” votes to 448 “No” votes. The CSU now has $102,536.79 to repay the fees. The only referendum question that didn’t pass was the International and Ethnic Association Council asking to double its fee-levy, with 708 “Yes” votes and 761 “No” votes. However, the IEAC did receive approval to separate from the Concordia Student Union. The association said that it’s able to represent more clubs as an autonomous organization. 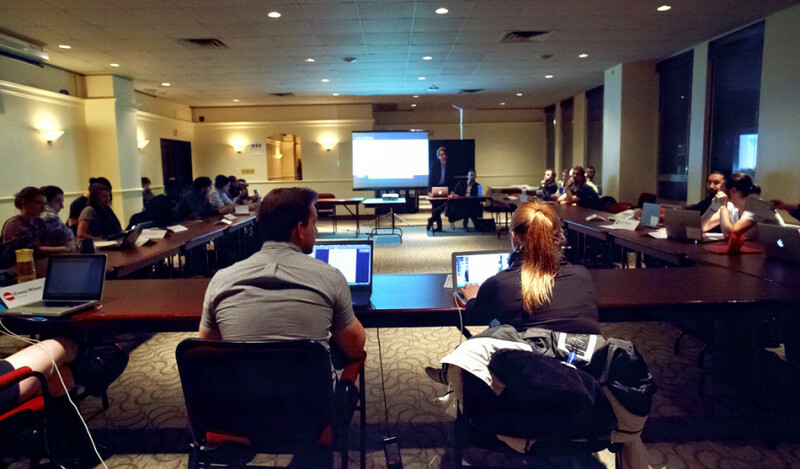 The Concordia’s Model United Nations club received student approval to become a fee-levy group with seven cents per credit, and students also supported the referendum question for the CSU to take an official stance against austerity. The remaining referendum question, asking for approval to support the Boycott, Divestment and Sanctions movement against Israel, has yet to be counted. Wilkings said that campaigning increased for this by-election because of the controversial referendum on the ballot. “I don’t want to say whether that necessarily led to this higher turnout, but I definitely think there was more campaigning in this by-election than any by-election in the recent past,” Wilkings said. Students elected new CSU Council members as well. Jason Poirier Lavoie is the new representative for Arts and Science. Scott Carr, Maylen Cytryn and Taimur Tanoli are the new members of the JMSB Council. Faddy Kamel now represents the ENCS and Marie Briere de la Hossayere is part of the Independent Student Council.